Hildegard of Bingen, a Rhineland mystic of the twelfth century, has been called an ideal model of the liberated woman. She was a poet and scientist, painter and musician, healer and abbess, playwright, prophet, preacher and social critic. The Book of Divine Works was written between 1170 and 1173, and this is its first appearance in English. The third volume of a trilogy which includes Scivias, published by Bear & Company in 1985, this visionary work is a signal resounding throughout the planet that a time of healing and balance is at hand. The Book of Divine Works is a cosmology which reunites religion, science, and art, and readers will discover an astonishing symbiosis with contemporary physics in these 800-year-old visions. 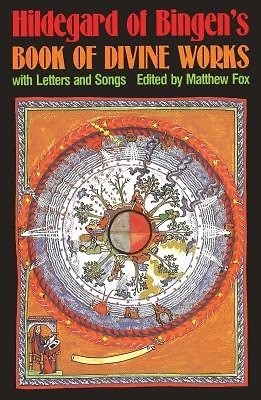 The present volume also contains 51 letters written by Hildegard to significant political and religious figures of her day and translations of twelve of her songs.